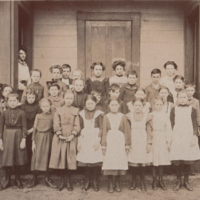 A sepia photo of children posing outside of a school building. Unknown year or grade level. 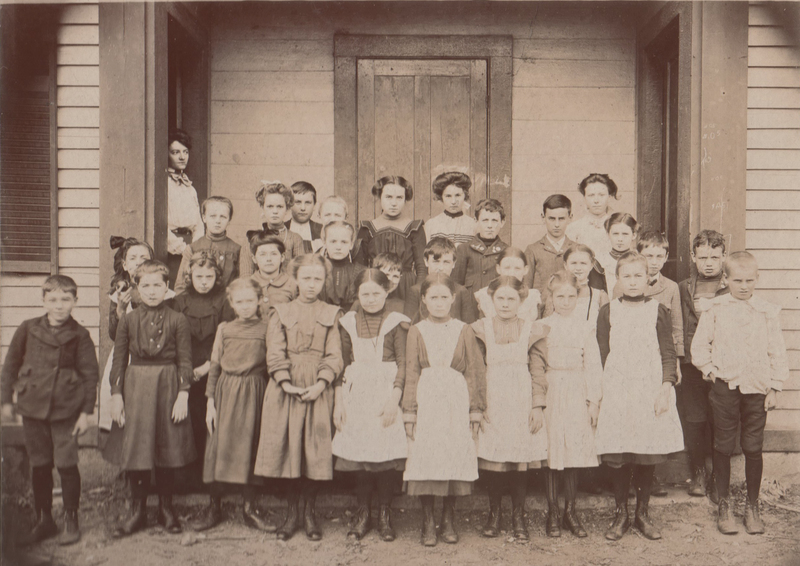 “Old Main Street School Grade 4( ?) - ca 1890,” Maynard Historical Society Archives, accessed April 24, 2019, http://collection.maynardhistory.org/items/show/250.